John Woodworth passed away peacefully surrounded by his family in the afternoon on Aug. 21, 2014. John was born May 21, 1939, in Sturgis, Mich., to Bela Roosevelt and Margaret Orva (Eaton) Woodworth. Growing up, he played basketball and baseball and also played the drums in high school. John attended Michigan Technical University before joining the U.S. Army in 1958. He served with a specialty in Construction Drafting and received an honorable discharge in 1961. After his service, John attended the Carpenter’s Apprenticeship in Pomona, Calif., from 1961–65 and graduated at the top of his class, achieving the highest score ever recorded at that time. John knew from the time he was 16 and worked for a family friend that he wanted to be a carpenter. He loved his work and worked hard to excel and learn from each job. He was Carpenter Foreman with numerous construction firms and even designed and supervised building the first tip-out room to be used in the travel trailer industry. John’s local catalog of work includes parts of the Skagit County Courthouse, more than 30 custom homes, and various small commercial buildings. He lived and worked in California after his apprenticeship before moving with his family to Washington in 1968, and then to Concrete in 1969. Here they raised chickens, geese, pheasants, peacocks, cows, horses, dogs, and cats. He loved growing a large garden, enjoyed farming, and was active in his children’s activities. In 1981 John went to work as a carpenter for Seattle City Light in Newhalem, where he met his wife Kathleen. She fell in love with his classic western charisma, and he was mesmerized by her stunning free spirit. They were married in 1989 and had their son, Adam. He served as an active member of the School Board for the Concrete School District from 1994–99 and was Board Chairman from 1996–98. John was also a member of the Concrete Lions Booster Club. Retired in 2008, he loved spending his time outdoors fishing, tending to his Christmas tree farm, and cruising around on his tractor. He loved watching his grandchildren playing sports and shooting the breeze with his neighbors. 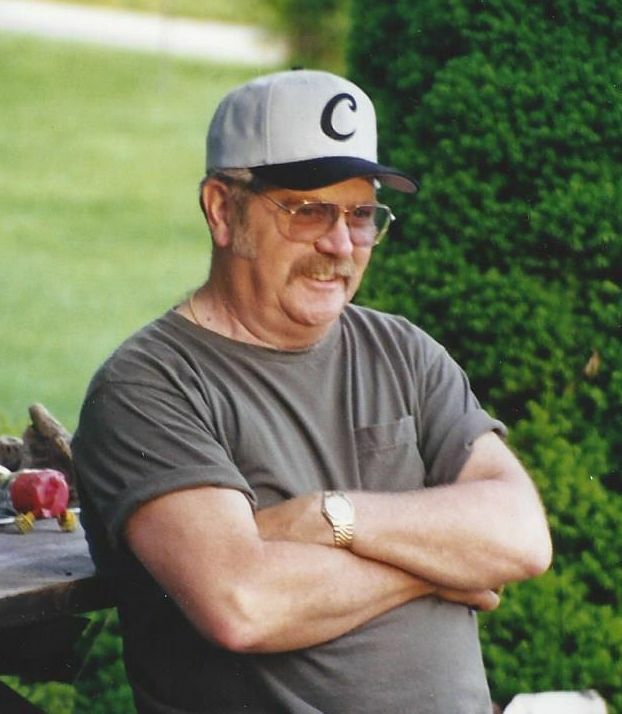 He was the go-to guy when you needed a hand, and he spent as much time plowing the neighbor’s driveways, fixing the community water system, or helping a friend with a remodel as he did at home. He was a great storyteller, and he loved a good joke. His favorite stories were those with his kids, like the time he drove up steep inclines in the California Sunland Tujunga hills with all four kids screaming and holding on for dear life in their Jeep, all to see the best display ever of the 4th of July fireworks, and when Mickey hugged him so hard she broke his rib, or when he helped Adam catch a 40-pound King salmon off Seiku. John was a man with a wonderful sense of humor, strong opinions, and a deep love of family. He loved to talk, and no one held court like he did. When he had something to say, he made you listen, and you always took his words to heart whether you agreed or not. He was our anchor and our center. He was our True North. John is preceded in death by his parents and sister Rachael Jane Woodworth, and grandson Christopher Zitkovich. He is survived by his wife of 25 years, Kathleen Woodworth; sons Troy, Bobby (Donna), and Adam (Stephanie); daughters Tami (Rick) Green and Mickey (John) Zitkovich; grandchildren Ben and Brian Steimle, Jonathan (Kelli) and David (Amber) Woodworth, Jessica (Josh) Massingale, Rochelle Martin, Kayla and Keegun Zitkovich, and Ben and Becka Johnson; future grandson Woodworth, and numerous great-grandchildren. There will a Celebration of Life potluck held at the CCD Center, 45590 Limestone St., Concrete, on Sat., Sept. 6, at 11 a.m. In lieu of flowers, donations can be made to UW Medical Advancement, Box 358045, Seattle, WA 98195-8045. Cremation arrangements are under the care of Lemley Chapel, 1008 3rd St., Sedro-Woolley. Share your memories of John and sign the online guest register at www.lemleychapel.com.